This 26 oz. Cocktail Shaker is made from brushed stainless steel and comes with a built-in strainer. 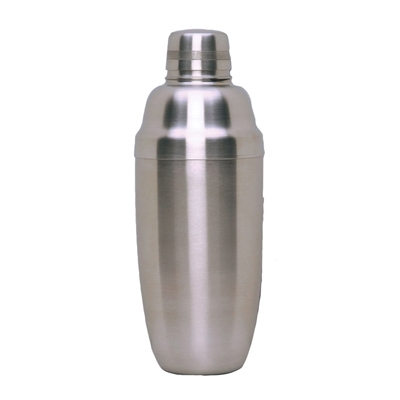 The 26 ounce size offers a generous vessel for creating drinks with plenty of room for all the ice, fruit, and mixers you need to make your cocktail come out right. Quality manufacturing ensures no leaks or spills. Built-in strainer for proper pouring.